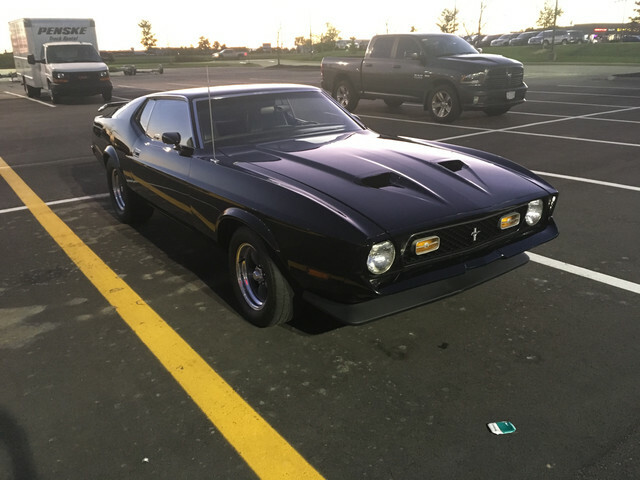 Hi all - I recently picked up a "new to me" black 71 Mach 1 last week. 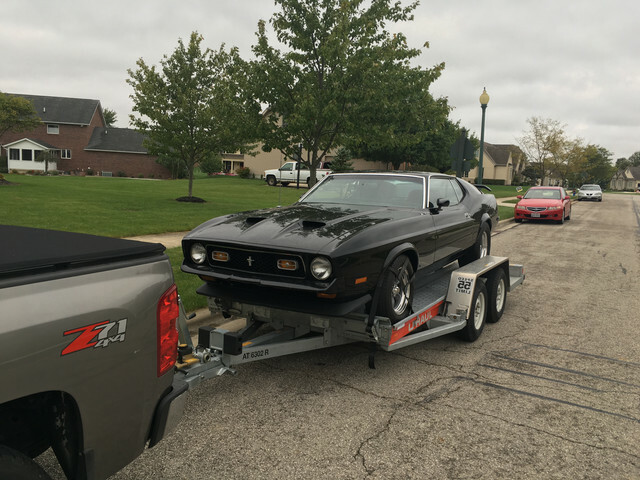 Its the second Mustang I have owned, but that first was over 30 years ago (it was a black 78 Mustang II). I spent a good bit of time looking, and found what I believe to be the straightest and cleanest body I could find - it is a turnkey car, in a very drivable condition, so not just a good roller. The metal has never been cut as far as I can tell, and its very clean and straight. The bottom is also exceptionally good compared to most of the cars I have looked at. Painted about 3 or 4 years ago, but the PO did not apply any of the Mach stripes or hood paint. The car is really about 85% complete - some missing interior and trim items, and a few interior electrical bugs to work out - so it is a good drivable, working project (I love tinkering so right up my alley). The car attracted me because of the condition of the body/frame/chassis. everything is clean, all bushings are less than 5 or 6 years fairly new and in very good shape. Engine is a 351 Cleveland with the larger ports and open combustion chamber - it seems to run pretty good but it looks a budget build and I expect I will go through it within a year or so anyway. I'm sure I will find more, but that pretty well sums the car up. I am going through and changing/flushing all fluids for my own peace of mind this week. Just introducing myself and looking for any help anyone is willing to offer - I will post threads as I tackle different items along the way. I believe I will attack the interior and electrical stuff this winter. Looking forward to it! Welcome from SW Ontario, Canada. Definitely looks to be a very nice, straight car and a good find. No rust is the key, after that the rest is easy(er)! You'll find lots of great help here from a great bunch of very knowledgeable folk. Don't forget, we LOVE pictures, interior, engine bay, exterior etc. By the way, does your wife get to drive the Corvette and is that why she is understanding? Welcome and congratulations. Smart buy - seems like a car you can finish a bit a time, not get into a ton of work at each area to see results. Hello and Welcome from Michigan. That’s a cool looking Mach for sure, have fun with it! Welcome from the Netherlands. Nice car! Hello from Mississippi. Lots of knowledge and experience here and all willing to help in any way possible. Looks like you have assembled a nice Toy Box in your garage. As already posted, no or little rust is a good start. These cars as others in the 40+ age range like to grow rust. Welcome to your new Mustang home! Nice looking ride. Having a tolerant wife is a big plus in the car hobby. 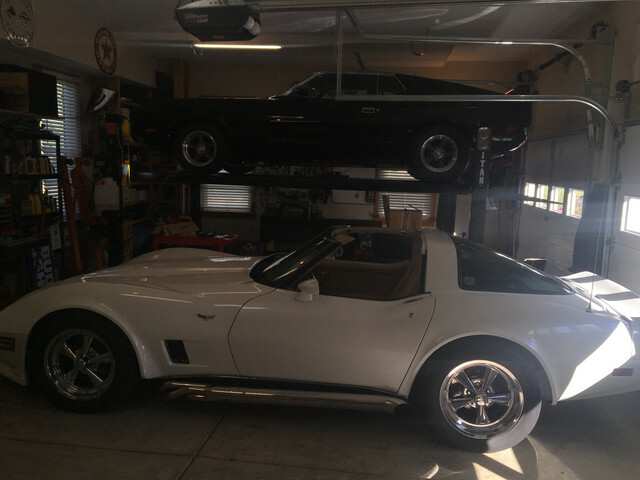 Mine is not a car person, but loves me enough to allow me to enlarge our garage to a 4 car with a attached work area. Happen to notice you are from Marysville, that is pretty close to Columbus. Keep in mind that every year on Thanksgiving weekend, the Ohio State fairgrounds has an all Ford show with vendors from across the country and car corral. Check out the web for complete details. Very nice car, protect it well. When these babies start to rust, they don't do it half!